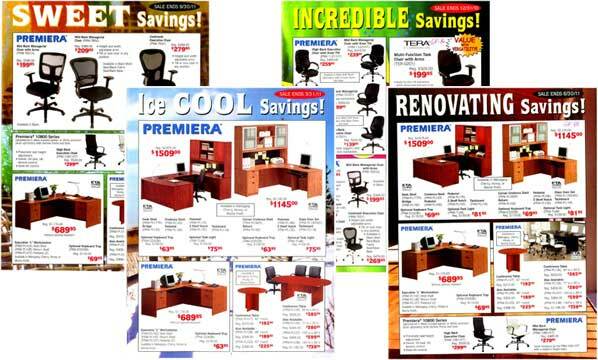 Each quarter we publish a sales flyer to help you promote office furniture. All of the items are chosen to represent the major catagories of products such as casegoods, seating, tables, and storage, etc... The flyers are imprintable making this is a great way to build your office furniture sales and build your name recognition in the market. All of the items in the sale flyer are priced at preprinted sale prices for your customers.